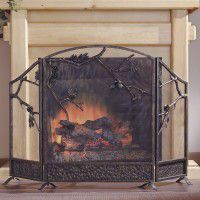 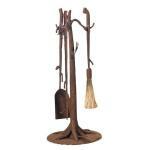 Shop for rustic fireplace screens, fireplace tool sets and rustic accessories at The Cabin Shop. 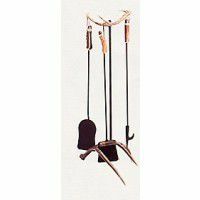 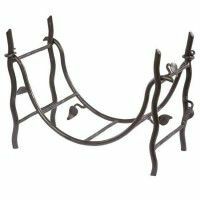 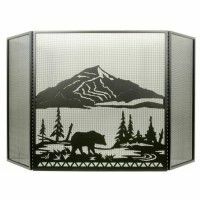 Our rustic fireplace screens and tool sets can be a great addition to your lodge decor and log cabin decorating scheme. 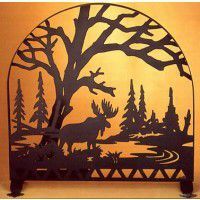 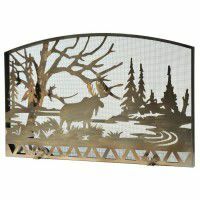 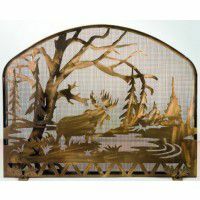 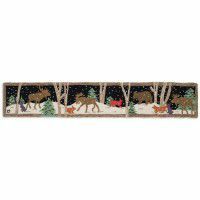 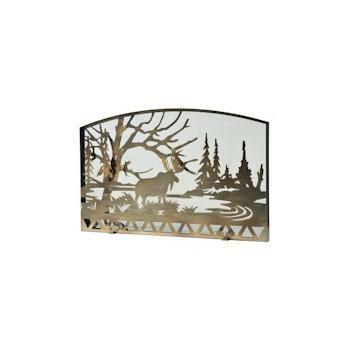 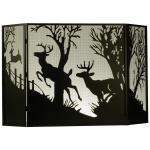 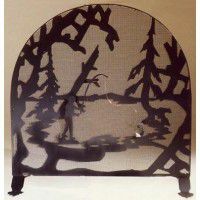 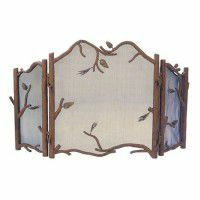 These heavy metal screens come in an array of wildlife designs, including elk, deer, fish and moose. 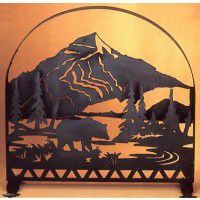 You can also choose from lake scenes and mountain landscapes. 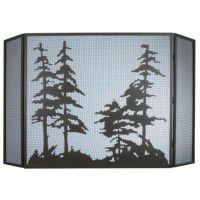 Your fireplace can become the focal point of your log home decor with one of these beautiful wildlife screens. 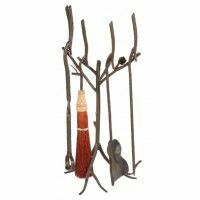 The Cabin Shop also carries rustic fireplace accessories including rustic log holders, kindling baskets and antler fireplace tools.